Strong words by Da'ee Shaykh Muhammad Hoblos. May Allah give us the Tawfique to practice. There is a group of practices that we can consider as the twin sister of bid’ah (innovation). Like bid’ah they flourish on the twin foundations of ignorance and outside influence. Like bid’ah they entail rituals. But unlike bid’ah the rituals have not been given an Islamic face. They are followed because they are considered an acceptable cultural practice or the hottest imported “in” thing. Consider Valentine’s Day, a day that after dying out a well deserved death in most of Europe (but surviving in Britain and United States of America) has suddenly started to emerge across a good swath of Muslim countries. Who was Valentine? Why is this day observed? Legends abound, as they do in all such cases, but this much is clear: Valentine’s Day began as a pagan ritual started by Romans in the 4th century BC to honour the god Lupercus. The main attraction of this ritual was a lottery held to distribute young women to young men for “entertainment and pleasure” – until the next year’s lottery. Among other equally despicable practices associated with this day was the lashing of young women by two young men, clad only in a bit of goatskin and wielding goatskin thongs, who had been smeared with blood of sacrificial goats and dogs. A lash of the “sacred” thongs by these “holy men” was believed to make them better able to bear children. Look at all those people who are still trying, helplessly, to use the formats of popular television entertainments to promote good. They might learn something from this bit of history. It failed miserably. Christianity ended up doing in Rome, and elsewhere, as the Romans did. The only success it had was in changing the name from Lupercalia to St. Valentine’s Day. It was done in CE 496 by Pope Gelasius, in honour of some Saint Valentine. There are as many as 50 different Valentines in Christian legends. Two of them are more famous, although their lives and characters are also shrouded in mystery. According to one legend, and the one more in line with the true nature of this celebration, St. Valentine was a “lovers’” saint, who had himself fallen in love with his jailer’s daughter. Due to serious troubles that accompanied such lottery, French government banned the practice in 1776. In Italy, Austria, Hungry, and Germany also the ritual vanished over the years. Earlier, it had been banned in England during the 17th century when the Puritans were strong. However in 1660 Charles II revived it. From there it also reached the New World, where enterprising Yankees spotted a good means of making money. Esther A.Howland, who produced one of the first commercial American Valentine’s Day cards called – what else – valentines, in the 1840s, sold $5,000 worth -when $5,000 was a lot of money – the first year. The valentine industry has been booming ever since. It is the same story with Halloween, which has otherwise normal human beings dressing like ghosts and goblins in a re-enactment of an ancient pagan ritual of demon worship. Five star hotels in Muslim countries arrange Halloween parties so the rich can celebrate the superstitions of a distant period of ignorance that at one time even included the shameful practice of human sacrifice. The pagan name for that event was Samhain (pronounced sow-en). Just as in the case of Valentine’s Day, Christianity changed its name, but not the pagan moorings. Christmas is another story. Today Muslim shopkeepers sell and shoppers buy Christmas symbols in Islamabad or Dubai or Cairo. To engage in a known religious celebration of another religion is bad enough. What is worse is the fact that here is another pagan celebration (Saturnalia) that has been changed in name – and in little else – by Christianity. Even the celebration considered most innocent might have pagan foundations. According to one account, in pagan cultures, people feared evil spirits -especially on their birthdays. It was a common belief that evil spirits were more dangerous to a person when he or she experienced a change in their daily life, such as turning a year older. So family and friends surrounded the person with laughter and joy on their birthdays in order to protect them from evil. Further, Islam is very sensitive about maintaining its purity and the unique identity of its followers. Islamic laws and teachings go to extra lengths to ensure it. Salat (Prayers) is loathed at the precise times of sunrise, transition, and sunset to eliminate the possibility of confusion with the practice of sun worship. To the voluntary recommended fast on the tenth of Muharram, Muslims are required to add another day (9th or 11th) to differentiate it from the then prevalent Jewish practice. Muslims are forbidden to emulate the appearance of non-Muslims. A Muslim is a Muslim for life. During joys and sorrows, during celebrations and sufferings, we must follow the one straight path – not many divergent paths. It is a great tragedy that under the constant barrage of commercial and cultural propaganda from the forces of globalization and the relentless media machine, Muslims have begun to embrace the Valentines, the Halloween ghost, and even the Santa Claus. Given our terrible and increasing surrender to paganism the only day we should be observing is a day of mourning. Better yet it should be a day of repentance that could liberate us from all these days. And all this daze. 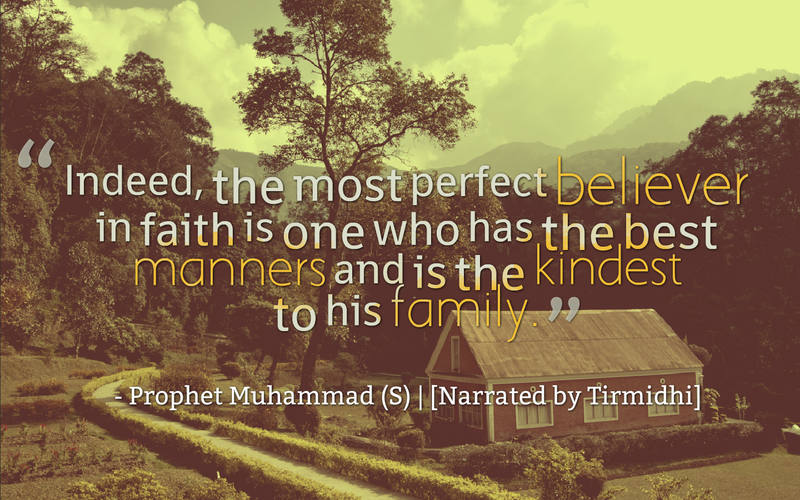 Be a nice guy, It's a Sunnah! !